People with celiac disease face complicated nutritional challenges, even if they are following the gluten-free diet. First, they must recover (as much as possible) from the nutrient malabsorption that occurred while they were still eating gluten, which might have caused anemia, low bone mineral density and osteoporosis, vitamin deficiencies, and other problems. As if that weren’t enough, unlike gluten-containing products in the supermarket, few commercial gluten-free products are enriched or fortified with extra vitamins, making it difficult for people with celiac disease to get enough vitamins in their diet. Gluten-free products are often low in B vitamins, calcium, vitamin D, iron, zinc, magnesium, and fiber. In fact, research has shown that people with celiac disease are at risk for several side effects of the gluten-free diet, including an increased incidence of obesity. Because of all these nutritional risks, the American Celiac Disease Alliance, the Digestive Disease National Coalition, the Gluten Intolerance Group of North America, and many individual doctors recommend that a registered dietitian should be part of the healthcare team that monitors the patient’s nutritional status and compliance with the diet. Furthermore, studies show that for some people with celiac disease, a major reason why they can’t stay gluten-free is that they don’t understand the diet. Wouldn’t it be a relief to get some help from a professional? Nutritionist or Dietitian? Which Should I See? 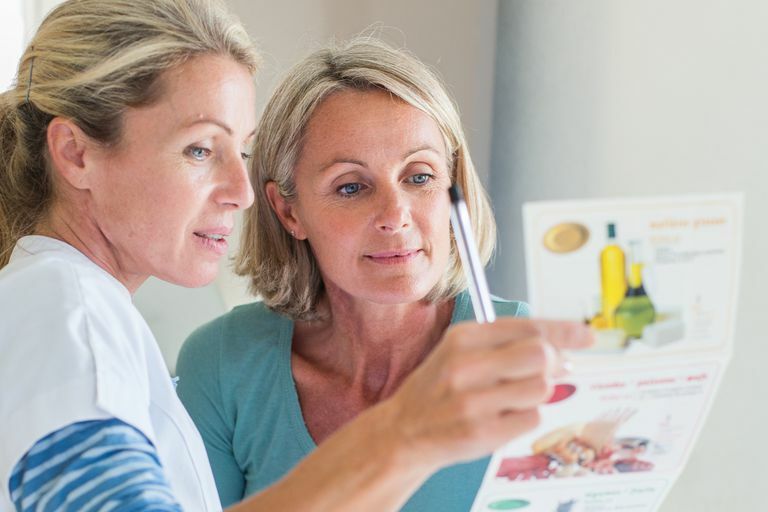 In the U.S., people with any disease, including celiac disease, who need nutritional counseling should consult a Registered Dietitian (also called an RD). RDs have completed academic and experience requirements established by the American Dietetic Association’s Commission on Dietetic Registration, including a minimum of a bachelor's degree from an accredited college or university and an accredited pre-professional experience program. RDs must also pass a rigorous professional exam and participate in ongoing accredited continuing education programs to maintain their credentials. Unlike the credential RD, there is no national standard and credential associated with the titles of “dietitian” (without the word “registered”) or “nutritionist” and no guarantee that the person using those titles has had any formal education in food and nutrition. Sometimes a Registered Dietitian is also given the title of “Nutritionist” (for example, in public health, clinical specialties, and educational institutions). Sometimes, however, these titles are used by people with no formal training. Unless a nutritionist has the initials “RD” after his or her name, you must carefully verify the person's qualifications. According to the Bureau of Labor Statistics of the U.S. Department of Labor, 48 states have laws governing dietetics, 35 states require that practitioners are licensed and 12 require that they also are certified by the state, independent of certification by any professional organizations. Be sure that your nutrition professional has met the requirements for the state (or country) where he or she practices. Where Do I Find a Registered Dietitian? In the U.S., you can visit the American Dietetic Association’s Find a Nutrition Professional site to find a dietitian near you. Of course, you can also ask your doctor, or members of your celiac disease support group, if they can recommend a nutrition professional. In Australia, visit myDR.com.au; in Canada, Dietitians of Canada; in Hong Kong, Hong Kong Dietitians Associated Limited; in Ireland, the Irish Nutrition and Dietetic Institute; in New Zealand, the New Zealand Dietetic Association; in the UK, Nutri-People or the British Nutrition Foundation. Given these guidelines, insurance companies should pay for celiac disease patients’ consultations with RDs. Still, there's a good chance you'll need to convince your insurance company that you require care from a dietitian. The only exceptions are patients with celiac disease and diabetes. Because Medicare has ruled that patients with diabetes require medical nutritional counseling, other insurance companies will approve nutritional counseling for diabetics. Try to have as much of the “conversation” in writing as possible. If you speak with an insurance company phone representative, write down the name of the person you spoke to and the date, and take notes on what was said. At a minimum, send the insurance company a prescription for nutritional therapy from your doctor, or a referral. Even better, ask your doctor -- and the nutritionist, if you've already had your consultation -- to write letters to the insurance company on your behalf explaining why the consultation is medically necessary and that this treatment is the currently accepted standard of care. If you have any other conditions that could be considered nutritional problems, such as anemia or vitamin deficiencies, mention that in your correspondence with the insurance company and remind your doctor and the nutritionist to mention it in their letters, too. If they send letters, get copies and enclose them with your correspondence to your insurance carrier, too. To prove that counseling from a nutrition professional is the standard of care for patients with celiac disease, it helps to send copies of significant articles from the medical literature that emphasize this point. At a minimum, include quotes from important papers. A few appear below, at the end of this article. Whenever you enclose any documents with your correspondence (copies of letters, medical test results, articles, etc. ), be sure to state in your letter what it is you've enclosed. Every time you send anything by mail to your insurance company, call them a week later to verify that the documents have been entered into their "system." If your insurance company denies pre-approval or denies your claim, find out what you need to do to formally appeal the ruling. When you make your appeal, send copies of all your correspondence with them to that point as well as any supporting documentation, even if you sent it before. If your insurance is provided by your employer, ask your employee benefits manager to get involved. The benefits manager carries more weight with the insurance company than you do as an individual. Green PHR and Cellier C. Celiac disease. New England Journal of Medicine 2007;357:1731-43. Hallert C et al. Evidence of poor vitamin status in coeliac patients on a gluten-free diet for 10 years. Alimentary Pharmacology & Therapeutics 2002; 16: 1333–1339.